Kincaid, Randall & Craine has been Representing Clients in Grandview, Ohio for over 75 Years. Kincaid, Randall & Craine has represented Grandview, Ohio residents for over 75 years. The attorneys in our firm are professional and personable. We value each client, and we tailor our work to meet our clients’ individual needs. At Kincaid, Randall & Craine we combine the experience of a large firm with the accessibility of a small firm to provide first-rate legal representation. One of the most rewarding aspects of our practice is the ability to help our clients and their families with substantial life challenges. An estate-planning problem often involves a family crisis. We take pride in being part of the healing process, and we strive to alleviate the anxiety that often accompanies legal proceedings. Dealing with legal issues can be intimidating. We sit down with our clients and explain the law clearly and simply, so they know exactly what it means for them. At Kincaid, Randall & Craine, our attorneys are accessible and provide cost-efficient legal representation. For our guardianship clients, we even make home visits and have a number at which we can be reached 24 hours a day, 7 days a week. 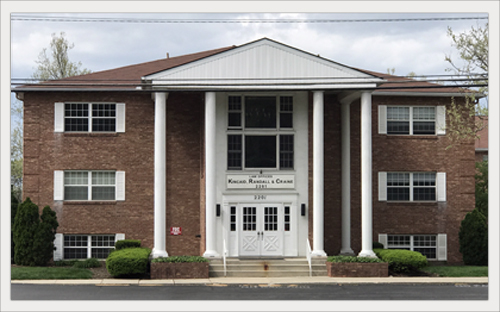 We have over 60 years of combined legal experience in assisting the people of Grandview, Ohio with elder law, guardianships, estate planning, probate administration, and business formation. Contact our office by phone at 614.224.7193 to arrange for your free initial consultation. Conveniently located in Upper Arlington with parking next to the building. A Dedicated Social Worker is on our staff unlike many other law firms. She works closely with all our wards to see how they are doing, making sure they are being fed and taken care of. It is her role to make sure they are protected both financially and physically. By doing this, we can prevent neglect. It gives the ward a friend, someone they can talk to and confide in. A Dedicated 24-Hour Support Number For Guardianship Clients is available to make sure you have the support you need and we can even make home visits. Call Kincaid, Randall & Craine Today at (614) 224-7193.